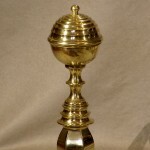 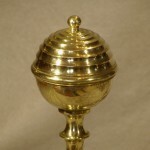 This is the first time I have encountered “bee hive” molded ball top andirons like these which are branded by the maker John Molineux of Boston. 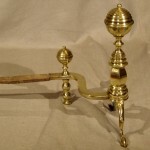 They are unusually large for Boston made andirons of this period and nearly identical but larger than a pair in the collection of the Metropolitan Museum of art. 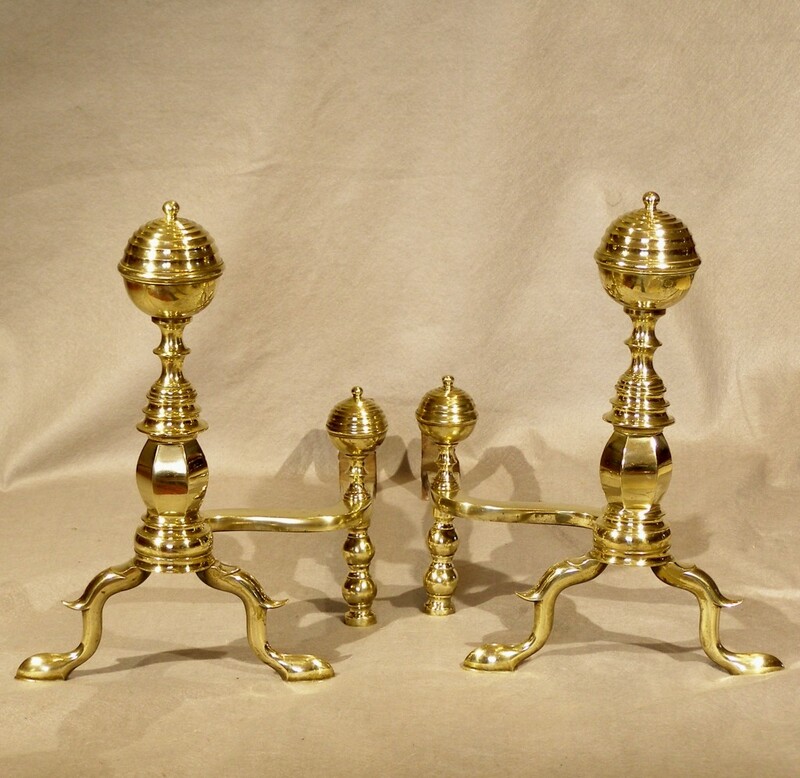 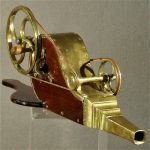 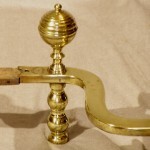 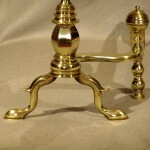 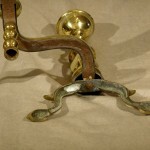 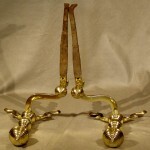 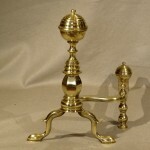 A less elaborate similarly designed pair by Hunneman of Boston is in the collection of Winterthur Museum pictured in “Early American Andirons” by Kauffman and Bowers and “American Copper and Brass” by Kauffman. 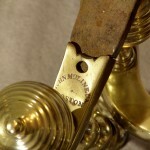 Excellent antique condition except for early mending to the rear third of the iron billet bars.